Bets per line: From 1 to 5 coins per line. 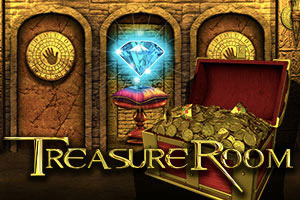 The biggest and most desired treasure hidden for centuries can be yours with this slots game called Treasure Room. Enter the cave and learn where to find it. Progressive Jackpot: Get 5 "Breaking News" symbols when making a maximum bet and you will win the PROGRESSIVE JACKPOT. Instant coins: Get 3, 4 or 5 sword symbols on a pay line on any position and activate the sword's unblock and the shield instantly into bonus reels. Choose the swords and win the shields on the screen to win on any position, and win between 125 and 5000 coins instantly! 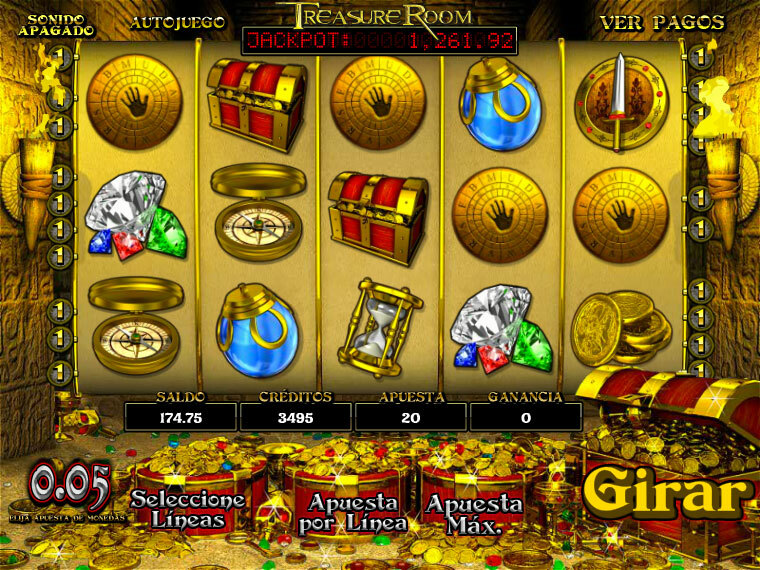 The prices received are multiplied by the pay line bet, and the number of lines where the combination of the bonus appears. When this combination appears, each symbol shown on the active pay line will have the message "Click Me" on the swords and shield symbols, make click on any sword and shield symbols to get credited with an instant bonus. Bonus Round: The three symbols found on the treasure cave on any position and on any pay line activate the bonus screen for the second treasure. On any given moment you will be transported to a second screen that contains 3 doors with 3 stones. Winning more than 3 symbols from bonus rounds will result in a profit multiplier! Choose any of the 3 doors to reveal the secret hidden inside. Keep on choosing every door until you have picked up the 3 precious stones. Your winnings will be credited and you will be returned to the main game.